I feel honoured to have been invited to the Stafford Cheese and Ale Festival this June to perform a couple of baking demos. I am always excited to attend a food festival as I love meeting the great artisan food producers who have stalls at the show. Also a festival that focuses on beer and cheese hits a sweet spot for me. To be honest I always have a little trepidation in what what to bake for each specific festival. 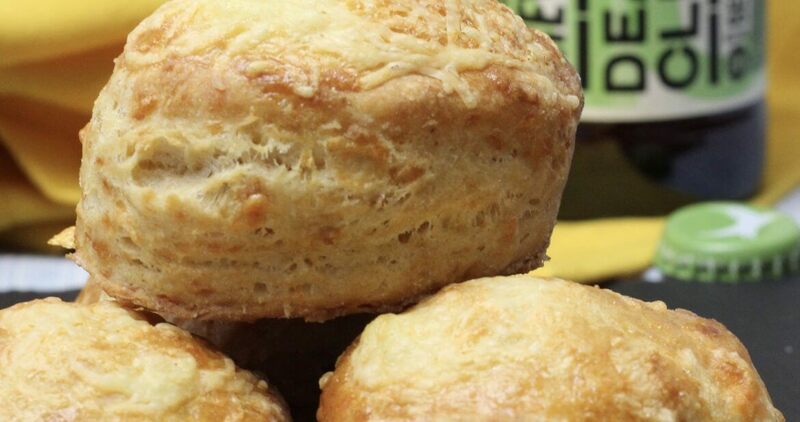 This one however was easy.The weekend before I received the call, I had been playing around with scones and also one of my lovely fellow bakers Tom had been making cheese scones that looked delicious on his Instagram feed. 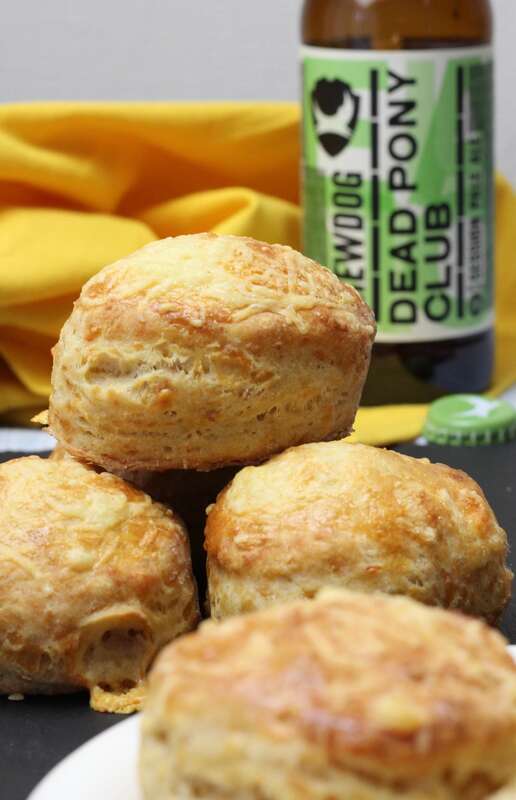 So I decided on a cheese and beer scone. Now I have a variety of craft beer in the garage to play with but I needed an expert to steer me in the right direction. So with the wonders of Twitter, I sent a quick tweet to an exceptionally talented and very helpful beer legend, Sarah Warman (@sarahfwarman). Sarah pointed me in the direction of Brew Dogs Dead Pony Club or a Five Points Railway Porter as a perfect pairing to cooked cheese. Having a few bottles of Dead Pony in the cupboard I went for that, although I will also try them with the Porter another time. 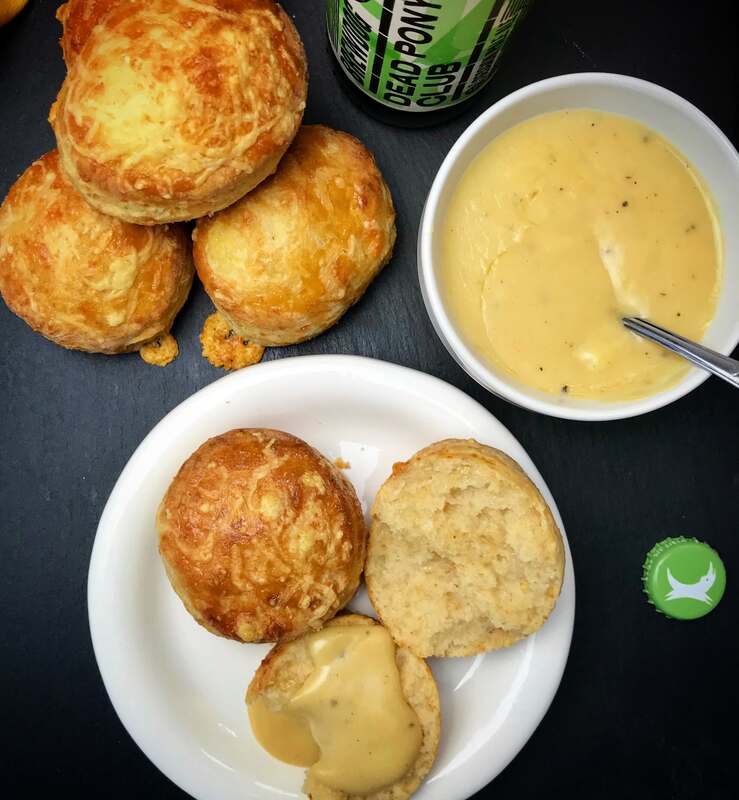 To go with the scones, I thought nacho style cheese sauce with beer would make a perfect warm accompaniment, one that was fully of cheesy beeriness without the neon yellow look. It is super easy to make and so addictive. Put the flour, baking powder, paprika and mustard powder in a bowl and mix together. Rub the butter into it until it looks like fine breadcrumbs. Then add the cheese (reserve a little to sprinkle on top later) and mix together with your hands. Add the lemon juice to the milk and add along with the beer to the dry ingredients. Mix with a spoon until it just comes together and tip out onto a well floured work surface. The dough will be wet and sticky. Use floured hands and lightly knead the dough until you have a smooth ball. Do not worry if it is sticky – keep the worktop floured. Roll to about 3cm thick and cut out with a floured 5cm round cutter. Place onto a baking sheet lined with parchment and bake for 15 mins. In a medium nonstick pan, melt the butter, then whisk in the flour, paprika and mustard powder all at once and cook for a couple of minutes whilst whisking. Slowly pour in the milk, followed by the beer and a splash of Worcestershire sauce, whisking constantly to prevent any lumps. Stir in the cheese until just melted, then remove from heat and add salt and pepper to taste. Best served warm with the warm scones. Also goes with well pretzels.